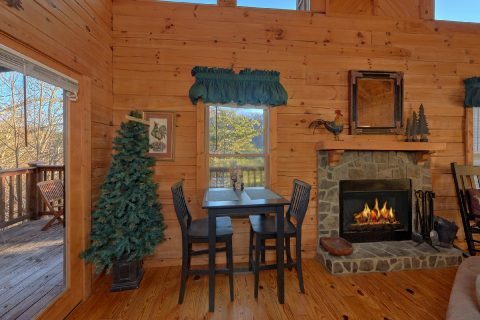 Cabin near Gatlinburg with View and Fireplace - "Bear Hugs II"
Are you and your sweetie looking to relax and unwind at a cabin neat Gatlinburg with a view and fireplace? 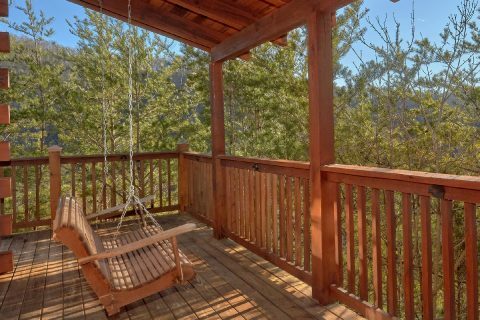 "Bear Hugs II" offers majestic mountain views and a location near the fun and excitement of Pigeon Forge, Gatlinburg, and the Great Smoky Mountain National Park, giving you the best of both worlds. 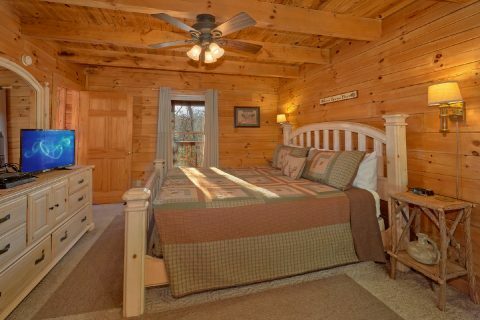 From the nightlife of the Pigeon Forge Parkway to the miles of pristine mountain trails in the national park, the Smoky Mountain area offers something for everyone to enjoy and your cabin places you at the center of it all. Even better, your cabin with a view offers up your own slice of mountain paradise with mountain views and plenty of space to enjoy the outdoors. 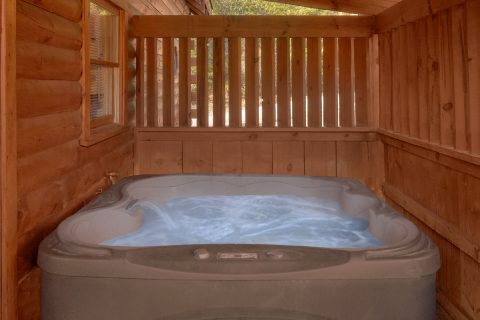 Relax on the wrap-around deck where you can enjoy a cook-out on your charcoal grill, sunsets from your porch swing, or a relaxing dip in your hot tub. 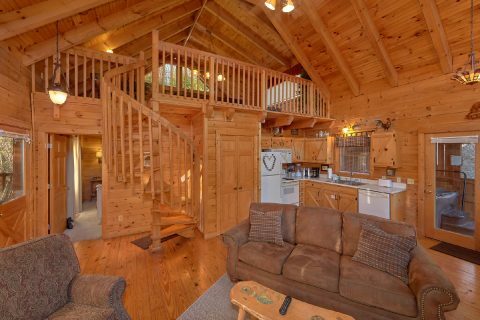 Inside this one-level, one-bedroom cabin, you'll find everything you need to unwind and relax. 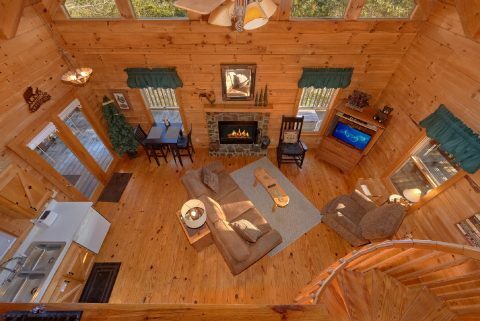 The living room features a rustic wood-burning fireplace that perfect for a cold winter night in the Smokies. 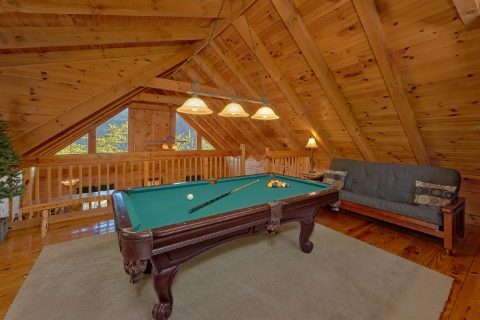 There's also plenty of entertainment option with features such as WiFi, cable, a DVD and VCR player, jukebox, and a pool table. 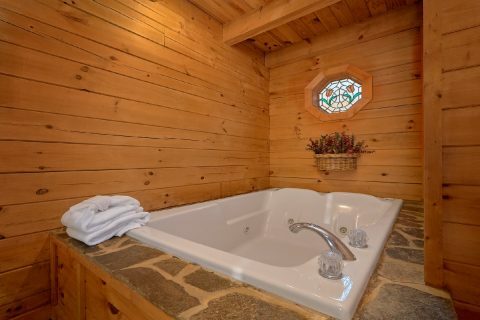 When it's time to go to bed after an exciting day of adventure, your cabin's king bedroom provides the perfect place to relax with a cozy bed and a romantic jacuzzi tub. 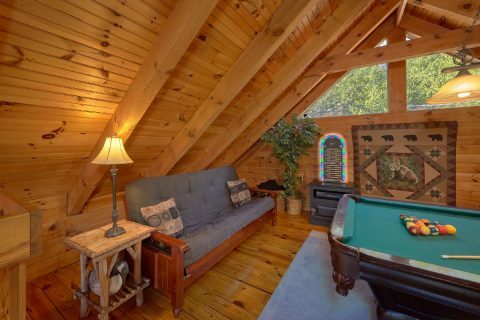 A futon in the living room offers additional sleeping space if needed. 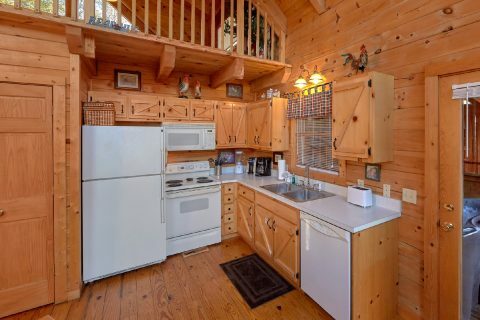 At this cabin, there's no need to worry about boarding pets while your away since you can bring your pets along to enjoy the mountains as well at this pet-friendly cabin. 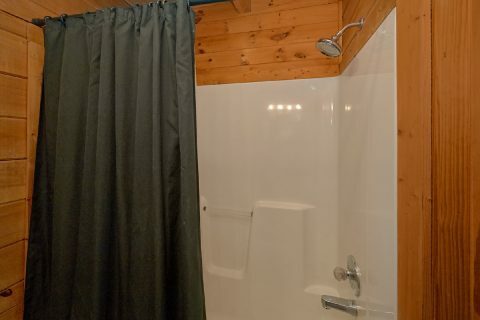 This non-smoking cabin also features practical amenities, such as a washer and dryer, to make your cabin stay as comfortable as possible. 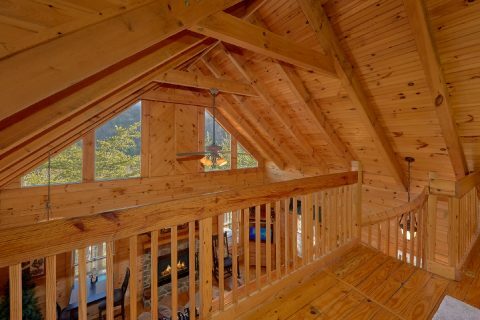 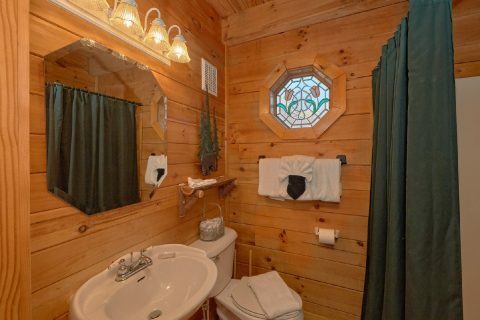 Book "Bear Hugs II" today and enjoy a 15% cabin discount on your nightly rate for this cozy cabin with near Gatlinburg with view, fireplace, and more!